Been away for a few days. I spend some time in a place called “Rebild Bakker” A hilly and very beautiful area in Jutland. I was on my very first photo assignment . Pictures coming soon. Today’s photo got nothing to do with that place, I guess it’s as far from it as you can get. 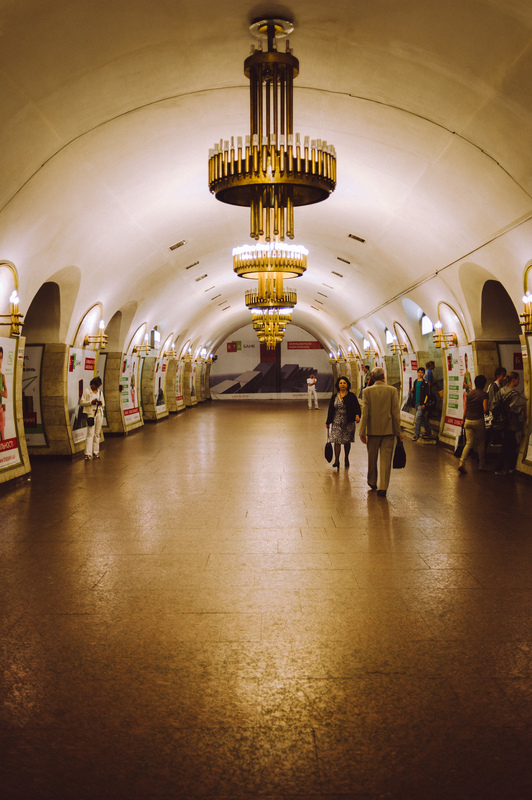 The photo is from a subway station in Kiev, Ukraine. Subway Station in Kiev by Bo47 is licensed under a Creative Commons Attribution-NonCommercial-NoDerivatives 4.0 International License.